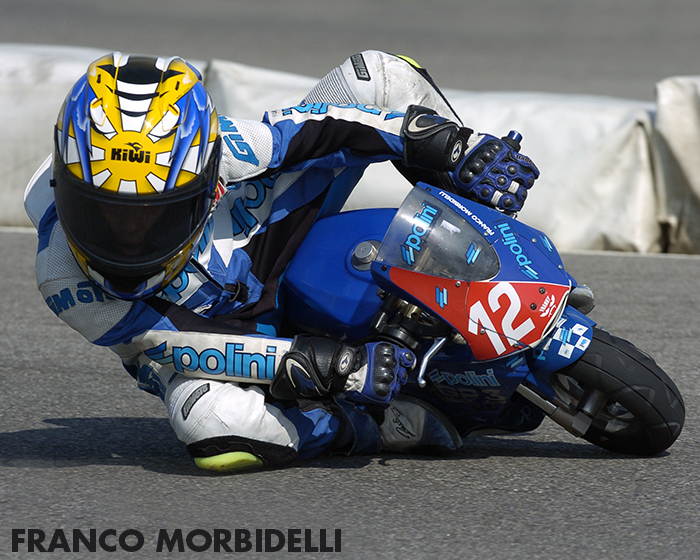 The minibike phenomenon in Italy remains the only one solution to approach many young guys to their first experiences of races on track. 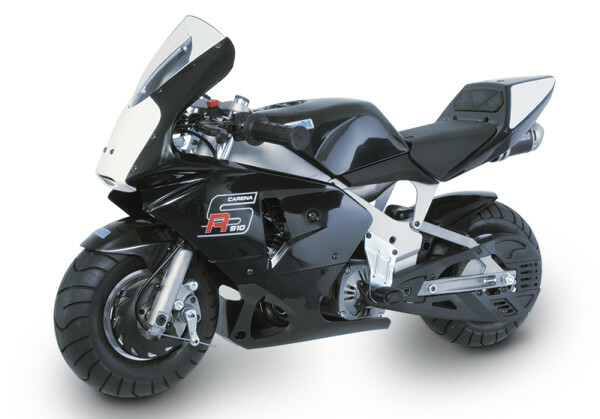 Polini Motori has given an important contribution to the minibike success in our country with 25.000 pieces sold. A constant engagement and always active to support the young talents, so much that in the last years the factory of Alzano Lombardo has flanked the Italian Motorcycle Federation by supplying them both minibikes and minicross. This support has been renewed through the “First Steps” project, followed in Italy by the FMI’s instructors. Polini minibikes have been always considered the champions’ bikes, the best ones to start racing on tracks. 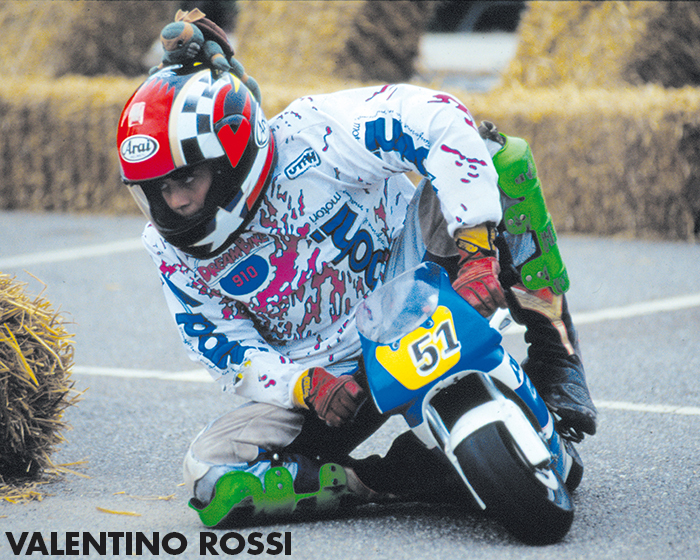 Such as Valentino Rossi, Marco Melandri, Franco Morbidelli, Toni Elias, Dany Pedrosa and many others who at their debut were part of the Polini minibike team. They are 100% “made in Italy” and wholly produced in the “Polini Motori” factory located in Alzano Lombardo (Bergamo). Easy and funny to drive for those who start this sport, they become racing, “bad” and extraordinary performing for those who have already acquired a good experience in the races and ask for the maximum power. The Polini minibikes 910 are extraordinary handy, steady and safe when entering the curves because they have a frame which is perfectly balanced and with the best weight distribution. The minibikes have their origin in Japan. The first exemplars were built in Italy in 1988. 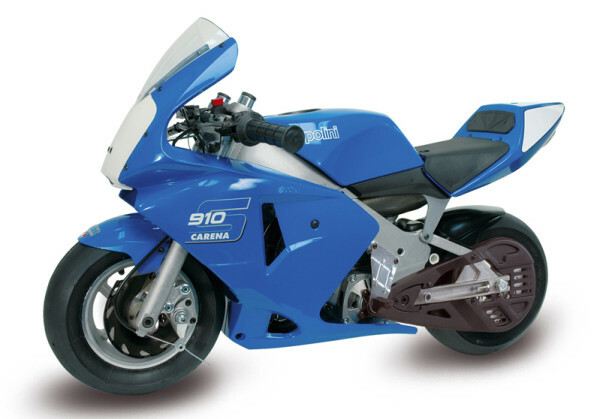 The success and the interest towards them were immediate and in 1990 the FMI organized the first Minibike Italian Trophy. At the beginning the first minibikes were just toys, without any technical detail and equipped with engines coming from chainsaws and fitted on an iron tube frame. 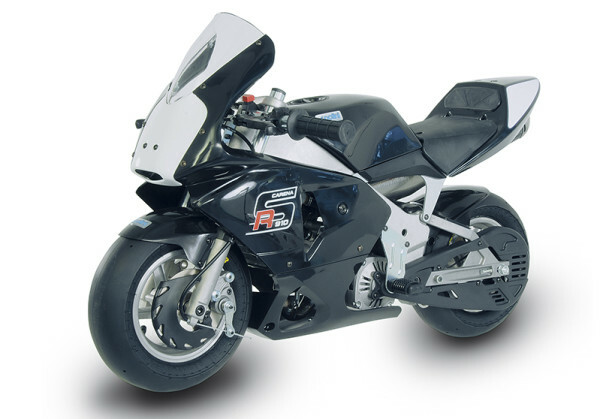 The turning point for the minibikes phenomenon came thanks to Polini that in 1992 realized a series of miniature GP bikes with a dedicated engine. In fact the Polini minibikes have been the first ones to use advanced technical solutions: supporting structure with light alloy frame, double front brake disc and rear single disc, liquid cooling 40cc 2-stroke engine with reed admission, light alloy crankcase. Other factors have contributed to the success of the Polini minibikes like the ease to drive, safety, compact dimensions and the racing style. Suffice to say that in a few years the 90% of all the minibikes produced in Italy and in Europe have had the Polini engine installed.